Karissa Thomas a personal development speaker and the award wining author of Uncertainty to Confidence: A New Way of Living Your Life joins eHealth Radio and the Personal Development Channel. She is here to talk about her new book The Look of Success: A Guide for Wanting, Achieving, and Sustaining Overall Success in Your Life. She teaches nationally through lectures on creating a shift in consciousness. What are the LAWS of Leadership in Wanting, Achieving, and Sustaining The Look of Success? What is the first thing a person has to do when they want to go after success? How does someone go about working on their belief system? Where does someone get the motivation that they need to fight for what they want? When your book comes out later on this summer what can people expect for this book? Where did you get all this insight for writing this book? 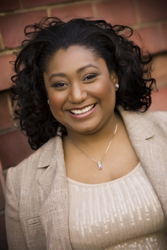 Karissa Thomas is a personal development speaker and award wining author. She has written Uncertainty to Confidence: A New Way of Living Your Life and Foolproof: A Woman's Guide to Self Love, Strength, and Relationships. She teaches nationally through lectures on creating a shift in consciousness for youth, women, and business groups. She is passionate about inspiring change within the self through positive self talk and building confidence. Her philosophy derives from an innate place within her that was accessed through life experiences. She believes that only you can confront yourself to effect lasting change, and that the first step begins with self-honesty. She specializes in women empowerment talks and she continues to coach in personal development. As Ms. Thomas tours the country she has uniquely been able to connect with an increasingly growing male demographic focusing on personal development. She resides in New York City.